Precision Diagnostics and Novel Therapies. Your host is Dr. Lee Freedman. When a patient’s facial structures are affected by disease or trauma, it can be both physically and emotionally devastating. What are some of the latest advances in facial reconstruction? I am your host, Dr. Lee Freedman, and joining me today are University of Pennsylvania physicians, Dr. Steven Cannady, Assistant Professor of Clinical Otorhinolaryngology and Head and Neck Surgery, and Dr. Oren Friedman, Director of Facial Plastic Surgery and Associate Professor of Clinical Otorhinolaryngology and Head and Neck Surgery. Drs. Cannady and Friedman -- Steve, Oren -- thank you so much for being with us. Well, why don’t we start at a very simple basic level, and Steve, perhaps I could ask you to comment on what exactly is facial reconstruction? What do we mean by that? Sure, facial reconstruction is a very general term that implies that somebody who has undergone some injury or loss of tissue of the facial structures requires the expertise of somebody specializing in rejuvenation of those tissues with the primary goal to restore both the physical form and the function of those structures that have been lost. And that can come in a variety of different forms. And I imagine then we are talking about trauma and disease at certain times? Yes, that is precisely the main 2 areas we have these types of defects come from: Cancers of the face which can be coming from skin cancers, or from deeper-down structures that erode through the facial structures can cause facial reconstruction dilemmas, as well as trauma, any type of blunt force or even sharper or ballistic injuries to the face leave quite a bit of damage into the facial areas. So, Oren, I imagine then, there are techniques that you have to do for bone repair as well as blood vessel and soft tissue. Do all of those things get encompassed by facial reconstruction? Yes, all layers need to be reconstructed in all cases. Preferably we like to use similar tissue to reconstruct the tissue that is missing, so whenever the opportunity allows, we like to use tissues from the region of the face, mobilize them in order to fill in the defect, but when the wounds, either due to trauma or cancer resection, are too large, we turn to tissue from a distant site and move it into the area of absent tissue, and so, the goal is to bring in new bone, or skin, or muscle, in order to reconstruct that. And are typically these procedures done with more than one surgeon in the OR at once, or are they sometimes staged procedures over a period of weeks or longer? Yes, I think the answer is, yes, to both. There are some procedures that are intended to be single staged, but more realistically, for this type of complexity there tends to be staged procedures. In fact, some of the techniques we use are intentionally staged, because we know they achieve the best results. And we find, in our institution, that working together does have a lot of advantages. Oren and I tend to do these cases of highly complex facial defects together. We both bring similar sets of skills but some differences. In a lot of our very complex patients, that we will I think discuss in a bit, I will do some of the free tissue transfer work, whereas Dr. Friedman will specialize in local reconstructions and sculpting and fine-tuning a lot of those tissues that we brought into the area. So, there do tend to be quite a few refinements to get the optimal results we are looking for. Very interesting, and since you have a variety of ways of approaching things, Oren is there a general approach to facial reconstruction? What are the options for different types of patients? First we think about the areas that are involved, for example, if it is a central facial problem or midface problem, including areas like the nose or the cheeks, we’ll do certain things. If it is the lower face, like the jaw or the neck, there are other options, and then in the upper face and the forehead area, there are yet other options. On the smaller defects, for example, when it is a skin-only defect, let’s say from a skin cancer or from a traumatic abrasion that leaves the patient with a lot of scarring, they may experience things like missing large portions of their nose, it could be a skin-only defect, in which case we would rotate some skin from the local area, including the nose, or the cheek, or the forehead, down into the nasal region to cover up the absent nasal skin. If we are also missing cartilage, we might turn to either the septum, which is within the nose, or to the ear, or to the rib, or to the bone on the skull in order to rebuild the bone that is missing. For the internal lining of that defect we might use some local flaps from within the nose, for example, or Steve might bring in tissue from a distant site, for example, radial forearm flap taken from the arm, in order to provide lining in a nose that is completely absent of lining on the internal aspect. I think what Oren is describing is what we call the reconstructive ladder, and the reconstructive ladder starts simple. We want to do the least invasive surgery that has the highest likelihood of best outcomes cosmetically and functionally. In some patients that might mean just a skin graft or a primary closure. If you were to lose, say, a portion of the cheek that was not very wide, we may just undermine the skin and close it, and that is a form of facial reconstruction. If it is a wider, missing amount of tissue, we may need to do something called a local flap which is rotating skin from an adjacent area into that area, which Oren described in the nasal flap from the forehead. That is one type of that. And then, as we get higher along the complexity, maybe you are missing composite tissues including skin, inner parts of the cheek or nose, eyelids, other areas that involve bone, then we start to think of maybe bringing up a single unit of composite tissue from the forearm, the leg, or some of the other areas, and that is called free-flap or free-tissue transfer. That is one of the more complex ways, but sometimes very necessary. And then, the last comment I’d have, is that the patient considerations are very important of course. We have some patients coming with advanced cancers that really will need some additional treatment for that cancer, and we do have to take into consideration how quickly we need to get a patient healed, and do we have time for multiple steps before they might need radiation? And we do discuss all of those types of issues upfront, so that we have a clear plan for the immediate reconstruction as well as the longterm future. What you describe makes very good sense--that reconstructive ladder--and then the attention to the specific individual patient needs. 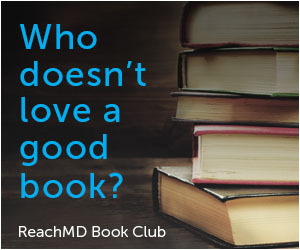 If you are just tuning in, you are listening to “Medical Breakthroughs” from Penn Medicine on ReachMD. I am your host, Dr. Lee Freedman, and with me today are Drs. Steven Cannady and Oren Friedman, and we are discussing advances in facial reconstruction. Oren, in terms of skin cancers and tumors, in particular, have there been some advances in tumor removal that affect your job in facial reconstruction? Yes, absolutely. Back in the old days, excisions would take place without being certain where the margins are. It was difficult to assess exactly where the tumor ended. Over the course of recent years, meaning 15, 20 years, it has become extremely common for something called Mohs surgery, M-O-H-S surgery, which is a surgery performed these days by dermatologists primarily, in which sections of tissue are removed from the area in order to make certain that the least amount of normal tissue is removed. In order words, they try to stay pretty tight around the margins of the tumor, in order to clear the margins, or get to a point where there is negative tumor margins, and thereby limit the amount of tissue that is removed. This becomes especially important in regions of the face as we get close to the eye, or close to the nose, or close to the mouth, or the ear. 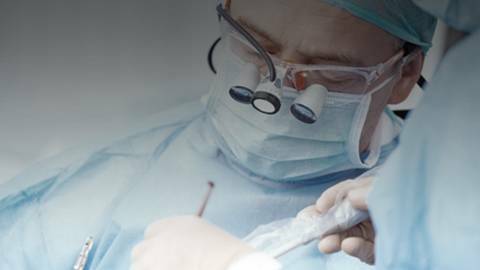 We want to limit the amount of skin that is removed in order to provide the patient with the best possible outcome from a reconstructive standpoint. We don’t want to deform the mouth or pull an eyelid down by taking out so much tissue that it becomes very difficult or impossible to repair in a cosmetically acceptable way and functionally acceptable way. So, those techniques have allowed us to reconstruct more favorably, and also provide the patient with better tumor control, by relying on the dermatologists to remove it, and then we may be called in to reconstruct it. So, you know the margins are clear and you can get a better cosmetic and functional result because you can do a more limited procedure at times. Exactly. And the other advantage of that, we apply that also in the operating room. For example, when our head and neck surgeons excise tumors, they don’t need to worry about the margins that they get, so they can be certain to take out the entire tumor, because they can rely on guys like Steve to reconstruct the area with fresh tissue from a distant site. So no matter how big the defect is, he can fill it. Very interesting. And Steve, that is a surgical advance. Have there been any nonsurgical advancements that affect outcomes? Certainly, in this current modern era we have developed newer and more exciting reconstructive planning, both from a software standpoint and also physical items within the OR that we can utilize. And certainly, from my standpoint, when I am planning a major reconstruction of the face it is helpful to have these types of very sophisticated imaging studies so that I can assess what my expected defect after the cancer surgery might be, or, in the case of a trauma patient, to really image the amount of missing and volume of missing tissue. We can then use some of the planning software and tools that computers have now afforded us, and not only plan virtually a surgery using the software, but also to develop models. So you actually have a physical model of a patient’s face, and the deformity that they may have after the surgery, that I can then plan the surgery and reconstructive techniques off of. And that is a major advance, both in how we think through the surgery, but also the accuracy of our outcomes. And specifically, to highlight one of the major issues when we have major facial reconstruction was, whether we would get the bite of the teeth back to a perfect occlusion, so they would feel that peoples’ teeth fit together well. And this computer software has allowed us to take that from several millimeters of accuracy down to less than a millimeter of accuracy, once we reconstruct these defects. So it almost feels as though the patient never had surgery to them. That downstream allows us to rehabilitate the dentition and teeth and some of the more important structures for quality of life. That is incredible, and wonderful, that you have those advancements. As we get further along the reconstructive ladder, Steve, I think you were mentioning so-called free-tissue transfer. Can you describe that and what type of patients will require that free-tissue transfer? Free-tissue transfer is also called free-flap surgery and what that implies is that we have used tissue from a distant site from where we would like to use it. So, for example, if somebody were to lose a large portion of the scalp or of the facial skin and we needed a large volume of skin, not readily available in the local area from the neck or face, we can use skin from the side of the leg, from the belly, from the palm surface of the forearm, and all of these areas have blood vessels that come along with them. We then, not unlike a transplant of an organ, we take that tissue that we harvest with the blood vessels, and we transplant them to the head and neck and under a microscope we hook up an artery to the flap artery and a vein to the flap vein, and that allows it to have its own blood supply. And this allows us to, in the most basic sense, transfer large volumes of composite tissue, meaning skin, bone, even tendons or nerves, if we need those. And Dr. Friedman and I-- Oren and I--have done some facial reanimation surgery with free tissue and that means when someone’s face has stopped moving from a cancer or trauma, we can actually get it to move again with one of these free-tissue transfers. The people that really benefit are that type of patient who has had pretty major facial changes from cancers or traumas, have lost not just small amounts of skin, but large, large amounts of skin. Many of the patients that undergo this have advanced tumors or have had sequelae of major trauma or sequelae of major cancer surgeries in the past, and then additional treatments. So they tend to be patients with more advanced problems that may have been dealing with them for some time. And I would think it is incredible with the blood supply to these free-tissue sections, but I would think that some of these patients may be debilitated; they have had more advanced tumors and all, are there problems with these taking and healing properly? That is an excellent question and a very complicated answer that I will try to answer. The answer is, yes. We know that people with advanced cancers have what is called hypercoagulability, which means that they tend to clot and get blood clots in the legs or lungs, more frequently than the average person. So, when you are doing a tissue transfer clotting is your enemy, and so we do have protocols in place that work quite well. In our hands, our success rates are well above standard nationally. We have 95 to 98% success. I think we have good patient selection and good protocols. We give aspirin. It is a great way to thin the platelet counts and prevent clotting. We monitor our free-tissue transfers with something called an implantable Doppler that wraps around the artery and gives us continuous realtime information that we have good flow to the tissue. And so, those techniques greatly enhance our success rates. That being said, you are right, it is somewhat of a plumbing operation. We are moving blood vessels and hooking them up, and because of that, sometimes the artery or vein can get blocked or clotted. In those instances we, because we monitor closely, often we can take the patient back to the operating room and fix the problem about 8 out of 10 times. Even when it occurs we can salvage it. That is very impressive. And let me ask each of you sequentially one last question, and I will ask you to look to the future, and Oren, are there some emerging technologies that you see impacting facial reconstruction? Well definitely. I think that as materials become more biocompatible, utilizing external scaffolds, for example, to shape different structures, such as the ear, the nose, the lips, the eyes, we will be able to basically print these out on a printer and insert them into the human body, either with coverage utilizing local tissues, skin to vascularize it, to provide blood supplies to those tissues that are printed, or through the transfer of free tissue, to provide new blood supplies to those regions, or to just hook vessels up directly to those structures. So that is going to be a real thing, probably within our lifetime, that we will be able to print these out on a machine and then implant those materials. That sounds wonderful. And Steve, anything you would like to add, things that you see emerging? In terms of free-tissue transfer, one of the most impressive things done in the last 5 years has been facial transplantation. There have been a handful of these done worldwide. They really are for the most advanced facial defects imaginable. People who have had them have had injuries such as primates that injured most of the structures of the face of one individual; another had sustained a gunshot wound to the middle of the face, and really had exhausted the free-tissue transfers from their own body. This is a patient who reaches a point where we really simply can’t use their own body parts to reform something that looks like a face. And in those people, it is sometimes reasonable to consider it. There are some side notes. You do have to be on immunosuppressing medicines for life, so cancer patients aren’t great candidates for this. As of now, we don’t have the right medicines to control cancer and suppress the immune system so it won’t reject the tissue. That being said, there is continuous research in the field; there is continuous advancements, and of the people who have had this, many of them have excellent results and are very satisfied with their face. When you think about somebody with a massive loss of facial tissues and the face sits atop of the head and is one of the most significant qualities of a human--we look to the face as a window to the soul, so to speak--and many of these people are completely debilitated emotionally and if they need it, a facial transplantation is something they may benefit from. So I see that as something that may develop further as medications improve in such a way that we may be able to use it more frequently. Well, I very much want to thank Drs. Steve Cannady and Oren Friedman for being with us and sharing with us their corroborative efforts and important exciting work in facial reconstruction, helping patients all along the so-called reconstructive ladder, to feel better both physically and emotionally. Doctors, thank you for being with us. Yes, thank you very much. It was a pleasure to be here. You have been listening to “Medical Breakthroughs” from Penn Medicine. To download this podcast or to access others in the series, please visit ReachMD.com/Penn and visit Penn Physician Link, an exclusive program that helps referring physicians connect with Penn. Here you can find education resources, information about our expedited referral process, and communication tools. To learn more, visit www.pennmedicine.org/physicianlink. Thank you for listening. When a patient's facial structures are severely impacted by trauma or disease, the physical and psychological tolls are devastating. What are some of the latest advances in facial reconstruction? Joining Dr. Lee Freedman are Dr. Steven Cannady, Assistant Professor of Clinical Otorhinolaryngology: Head and Neck Surgery, and Dr. Oren Friedman, Director of Facial Plastic Surgery and Associate Professor of Clinical Otorhinolaryngology: Head and Neck Surgery, both at Penn Medicine.